Describes how to make a wide range of statues and instructions on the use of all products – a must have for the serious Paverpoler! 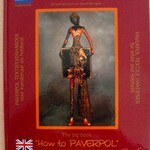 The big “HOW TO PAVERPOL” book. Big size A-4, hard cover, 92 pages, over 100 photo’s, 30 creations with detailed instructions. Also how to use Wrappers, Paverplast, Art Stone, ceramic heads, explanation from the start, how to build up, how to paint and more. With many tips. 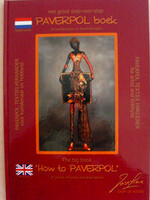 The most complete reference book in the textile hardener market.